If you accidentally delete a partition or damage your boot disk, you can be left with all sorts of problems that are hard for the beginner to solve. TestDisk was originally designed to recover damaged and lost partitions but it now also serves a purpose as a powerful free data recovery software. It's useful in a wide range of circumstances from hard drive damaged caused by faulty software to human error (such as accidentally deleting a Partition Table). TestDisk is designed for both novices and experts although the lack of a Graphical User Interface means that experts will feel more at home with it than the former. The lack of GUI is compensated for by a simple menu that can only be accessed in Terminal. 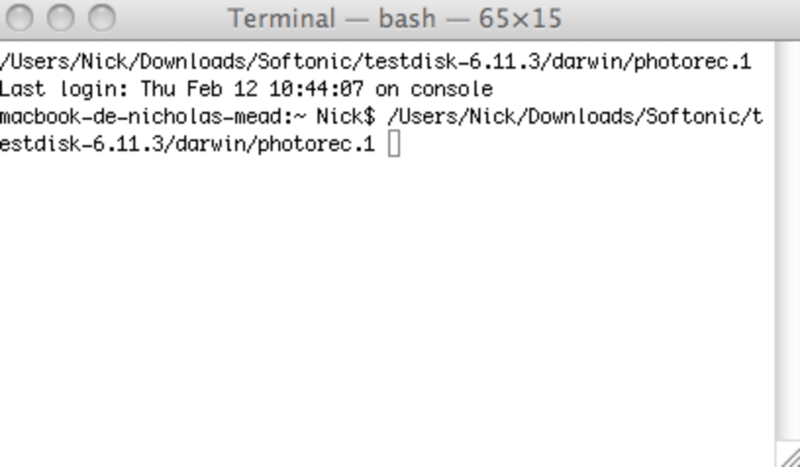 If you're new to using the terminal, in the unzipped TestDisk package, find the"Darwin" folder and double click on the "Testdisk" file. From here, you have access to a menu that will take you through the scanning and testing process. If there is anything that can be recovered or is detected, the menu will take you through the necessary steps to do so. 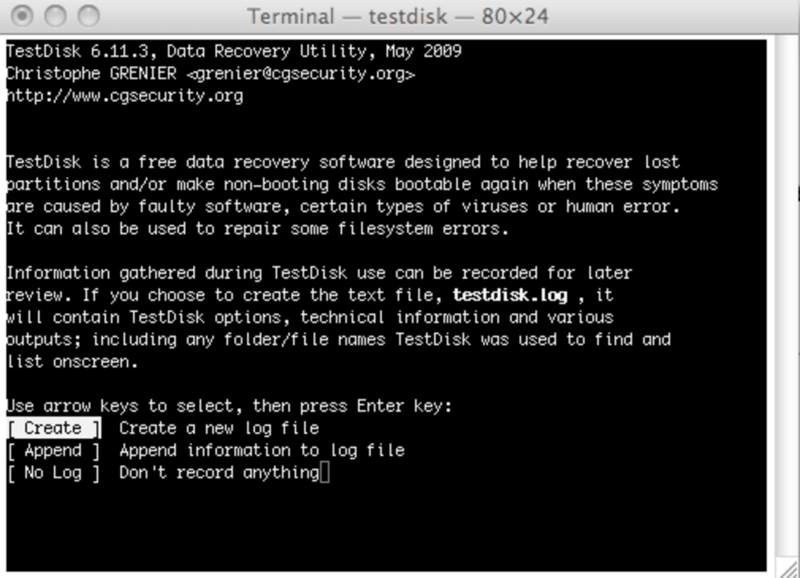 It's a shame there isn't a GUI with TestDisk but if all your other data recovery methods have failed, it's definitely worth a try as a no-nonsense and free solution. fidentify, a little utility sharing PhotoRec signature database, is now build by default. It identifies the type of data contained in a file and reports the extension as seen by PhotoRec. It is similar to the Unix file command.